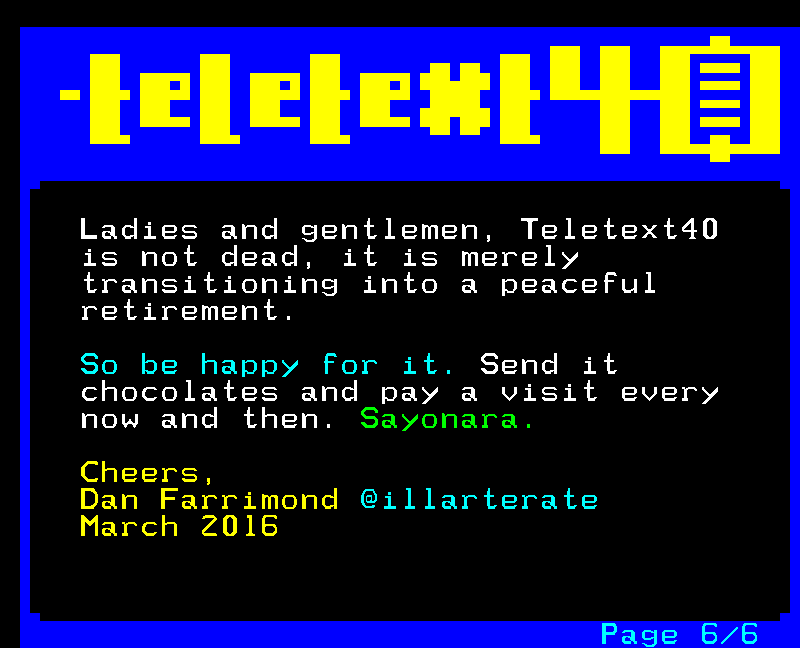 Online teletext service to celebrate teletext’s 40th anniversary. Developed in conjunction with Simon Rawles using his Mode7 web teletext software, which converts genuine teletext pages to a browser-compatible format. Includes pages from a variety of contributors, including visitors to a teletext art workshop at Superbyte Festival, September 2014. The site remained online at www.teletext40.com until March 2016.